Inclusion in Family Life - it is SO important to treat the au pair as a family member and to ensure that he/she is included within family life and typical family activites (e.g. dinner time, watching tv with the family in the evening, weekend trips away). This sets the ethos and basis for the whole au pair program. Full Board - 3 daily meals for au pair – you are not required to cook for the au pair, but to simply have all basic ingredients readily available for the au pair’s use. Weekly pocket money starts from £85/25 hours - additional hours should be paid at £5/7+ depending on au pair experience. 2 full free days/week (Saturday, Sunday) - if any additional help is required during the two free days, this needs to be by mutual agreement and to be paid extra (at the agreed hourly rate). Own private bedroom within your family home - the room should have a window and storage for clothing and facilities to study (desk). The room must include a proper bed with a normal mattress (unfortunately a fold out, temporary/sofa bed is not sufficient). Airport collection & drop off at the end of the placement. Guidance, training and support with clear written guidance on what is expected in line with role agreed with agency (At Smartaupairs, we provide you with an extensive family information & handbook guide to help you in preparation). We ask each host family to prepare a manual for their au pair based on our template to ensure the rules and expectations of the role are clear. Driving Assessment + Lessons if au pair is required to drive; access to insured and safe vehicle. Paid Holiday – 28 days holiday per 12 month period, including Public Holidays. Pocket money will be paid during this time. As a pro-rata calculation, this would equate to 1.66 days/month + bank holidays. End of stay bonus (equal to one week pocket money) to the au pair upon full completion of his/her agreed term (applicable for placements which are 6 months or longer only). Two Week Paid Notice Period (Live in) in case of placement termination. Smartaupairs asks each host family for two references as part of their registration - if you have had au pairs before, we kindly ask to speak to your most recent one (s). We always verify the references before we start the au pair search. Is the Au Pair Program Right for Your Family? Aside of the basic host family requirements, we have noted a couple of other factors which are important to consider when deciding whether an au pair is the right solution for your family. We often jokingly say that au pairs are not fairies! It is therefore important to be realistic and recognize that au pairs are young adults, typically aged 18-19, often living away from home for the first time. They are immensely excited yet often also daunted by the prospect of living in another country with a new family, while taking responsibility for children. It is not realistic to expect an au pair to arrive and to know/understand everything required from them upon arrival. Start from the basics and remember that as a parent, you have developed into a skilled multitasker over time - however for the au pair, it is all new, and your guidance, written rules & expectations are therefore very important in ensuring the au pair placement gets off to a good start. It can often take a few weeks for everything to fall into place. This is one of the important differences to hiring a nanny for example – nannies are qualified/experienced (and paid for accordingly) for knowing what to do and when, whereas au pairs need specific and detailed guidelines and support so you both know where you stand routine & rules wise. We have over 10 years of experience in supporting au pair placements, so you are in good hands, and we are available for help throughout the placement should any hiccups occur. An au pair can be a wonderful help with all age groups. There are however important limitations in the level of responsibility the au pairs can have, simply due to the fact that they are not often qualified in childcare. As an example, an au pair would not be the right form of childcare for roles which require full/continuous sole care for pre-school aged children (for whom we ask to limit sole care to max. 3/4h at a time). 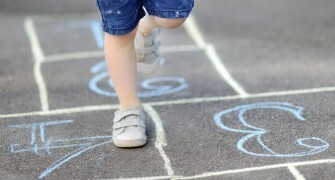 No sole care should be required for children under the age of two. By sole care, we refer to help without parental presence. An au pair can therefore absolutely help with a baby/young child alongside mum/dad by providing an extra pair of hands - however they should not be left in sole charge. If you need further guidance on this – please do give our office a call and we can assess whether an au pair could be an option for you. Our guidelines are in place to provide a safety net for all parties. Are you really comfortable with a new person living with you and taking part in your family life/activities such as joining in to watch tv in the evening? The au pair program is very different to having an employment based contract, it really is all about welcoming someone to join you as a family. The au pair programme is based on childcare – we can therefore only supply au pairs for positions in which childcare is the real priority. Au pairs will be able to help with light household duties for up to an hour a day, but would not replace a cleaner or take charge of all household duties or heavy household tasks. The first days/weeks of the au pair time are particularly important and worth the time investment. Many families take a few days off to help guide and introduce the au pair to the role. 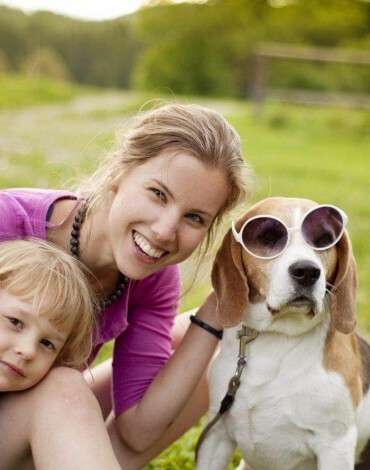 At Smartaupairs, we provide a substantial amount of support material both for our families and au pairs – however, it is important to consider whether you will be able to take the time in the beginning of the au pair placement, to ensure the au pair is fully supported and trained before taking independent responsibility over the requested tasks. It is of course also important to consider the additional cost of another person living with you (food, potential increase in utility costs, car insurance if au pair is required to drive). Our agency fees start from around £480 + VAT on average. Au pair weekly pocket money starts from £85 for 25h. All our au pairs are live-in. It is important to set aside appropriate accommodation for the au pair (private bedroom with a a proper bed & mattress, window + storage such as a wardrobe/chest of drawers, table). Au pairs can share the bathroom with the family. Would you be comfortable staying in the room yourself on a longer term basis? Au pairs are nearly always in their home countries when they are looking for an au pair position. Are you happy to conduct interviews over Skype/Facetime instead of meeting in person? How Do We Match Au Pairs to Your Family?